Starting a restaurant business is just like starting any kind of business. You need to carefully think through every aspect of the venture from the business plan to the kinds of advertising medium you want to use. For those who are just starting out, all these tasks may pile up and can become overwhelming. In this article, we suggest a way to help restaurateurs cope with the different advertising and administerial aspects of the job. 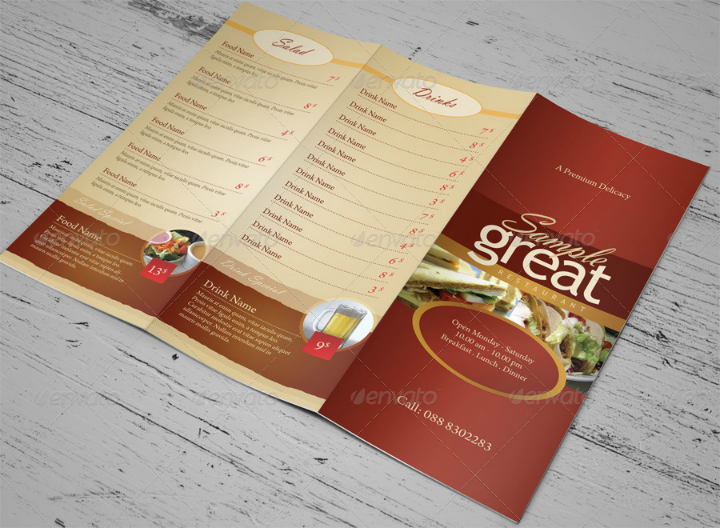 We are talking about restaurant templates in Adobe Photoshop (PSD) file format. Read on for more in-depth information about the use of these templates in running and marketing a restaurant business. 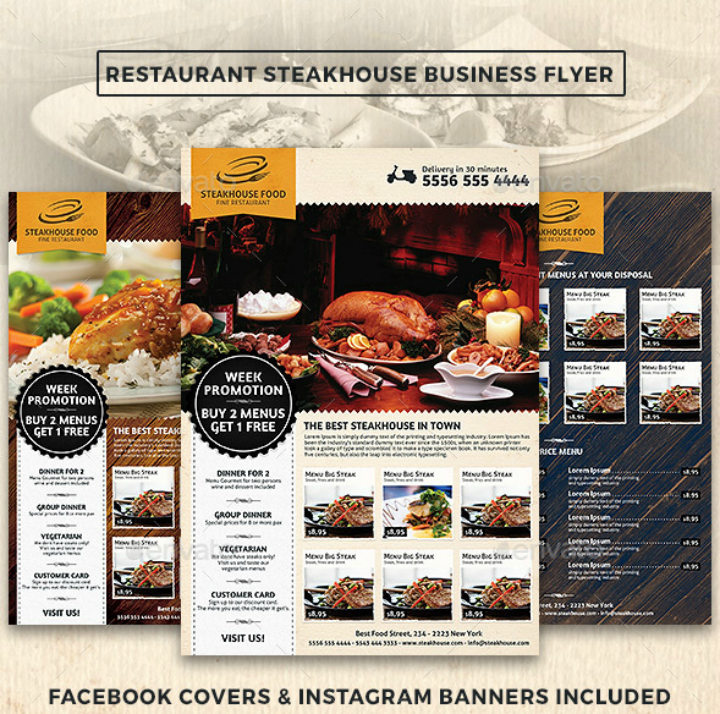 Restaurant templates are any digital files that serve as the base for creating printed cards, menus, or advertising materials for restaurants. These templates are usually pre-made by professional graphic designers. This means that when you purchase and download a restaurant template, you will only need to make minor changes (like adding your restaurant logo and menu list) to personalize the template. These templates come in different file formats depending on the software program used to create them. Examples of these template file types aside from PSD are Adobe InDesign (INDD), Microsoft Word (DOC), Microsoft Publisher (PUB), Adobe Illustrator (EPS), and MAC Pages (PAGES). 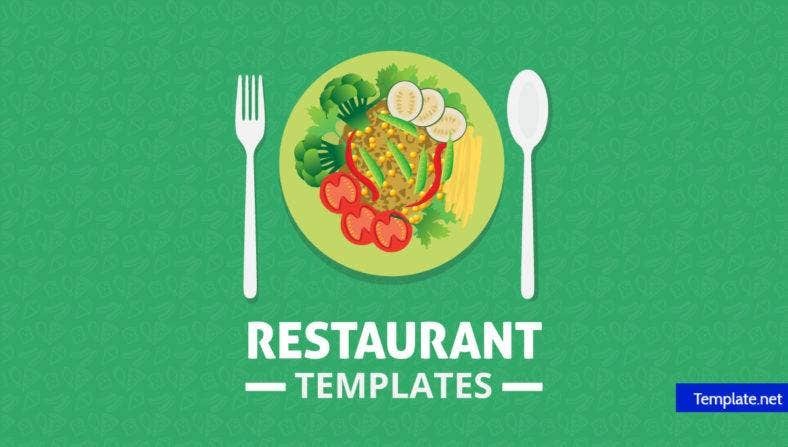 If you are looking to use pre-made restaurant templates, it is advisable to have any of these software programs downloaded and installed on your computer first. Digital file templates are not limited for use by restaurateurs or those in the restaurant and food industry. Templates can also be made and used for other purposes like wedding templates, greeting card templates, and ticket templates. 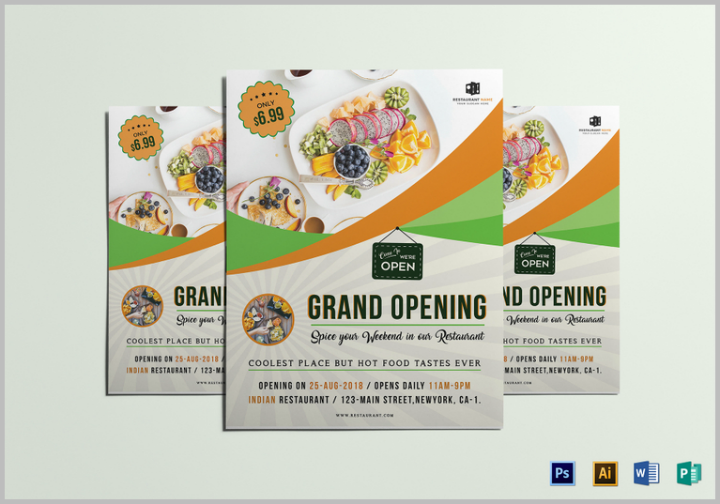 Why should you use restaurant templates in PSD format? To save time. Restaurateurs, just like other businesspersons, are busy people. 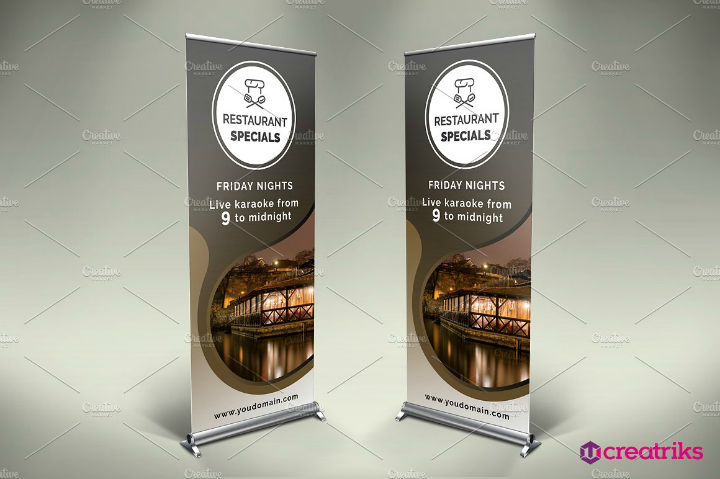 So, if you want to make use of your time well, using PSD restaurant templates is a good decision since you do not need to create the templates from scratch. 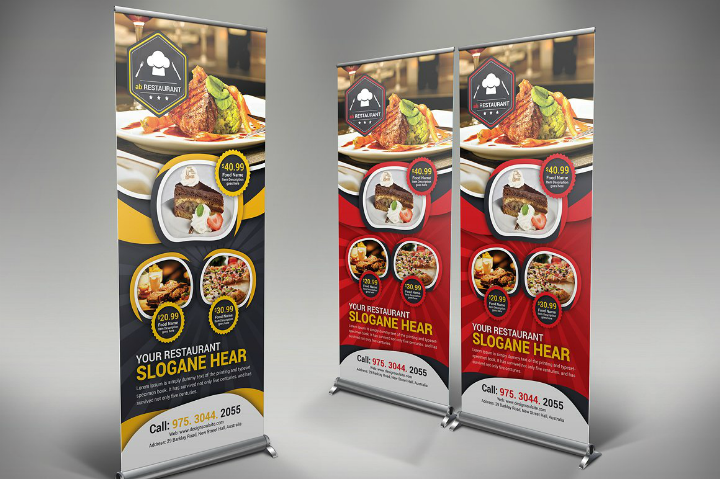 To illustrate, you can implement a restaurant marketing plan within a few days or a week by using restaurant advertising templates since you do not need to come up with a design concept. True, you still need to insert certain branding elements into your restaurant templates to make your brand stand out more. But these design additions will be minimal and easy to implement. Examples of easy branding design elements you can add are restaurant logo designs, social media links, and pictures. To cut down on costs. Not all dining establishments can have the same restaurant advertising and stationery budgets like multinational fast food chains. This is why PSD restaurant templates appeal to small business owners due to their scalability. For example, a small town diner can still set up a few banner advertisements strategically placed all over the town without growing broke by using banner templates instead of commissioning an ad agency to do their marketing. 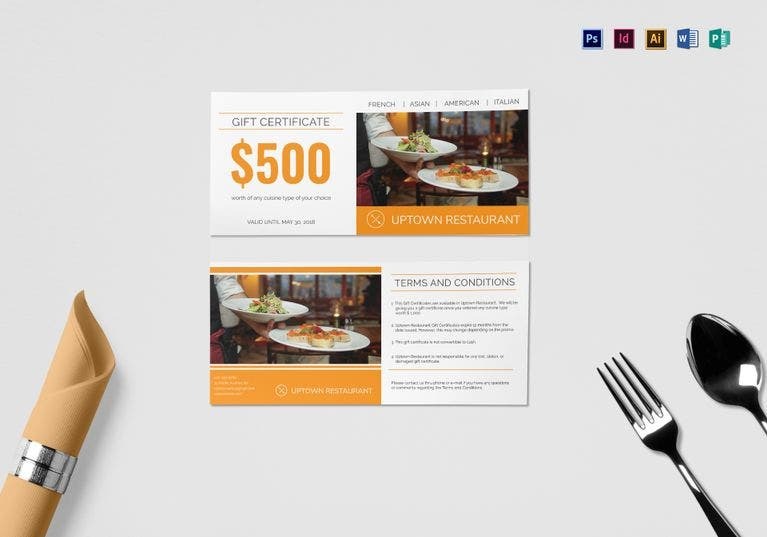 In some cases, restaurateurs may even use free restaurant templates in PSD format so that they do not have to pay for the templates themselves. This approach can be very helpful for a struggling restaurant since it can give them exposure (and possibly, more customers, too) without shelling out a lot of money. You can edit them conveniently. As mentioned earlier, PSD restaurant templates can be edited after purchasing them. This means that restaurateurs may still make changes to the template and reconstruct them. 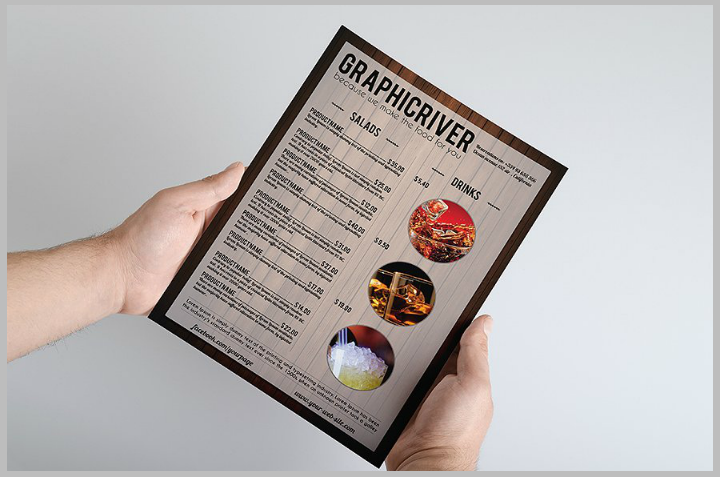 Remember, templates primarily serve as the base of a graphic design project for a restaurant. If you purchase and use a PSD template, you will still retain the creative freedom to do whatever you want with the template. 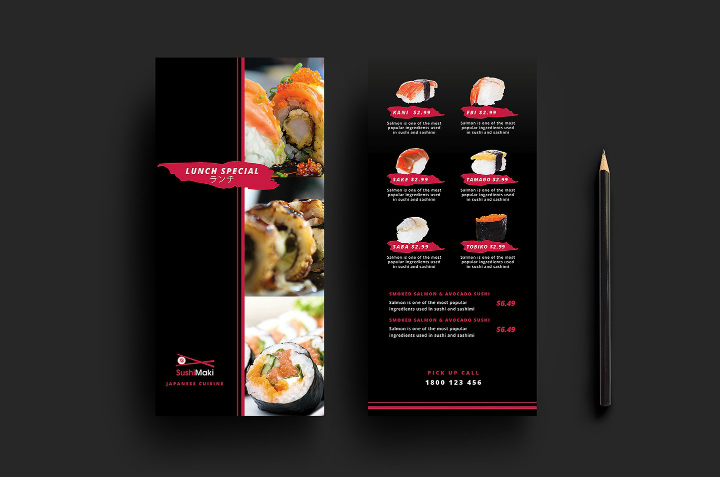 For example, you can use this opportunity to create a unique restaurant menu flyer background design without having to also create and format the text boxes. They are pre-formatted. 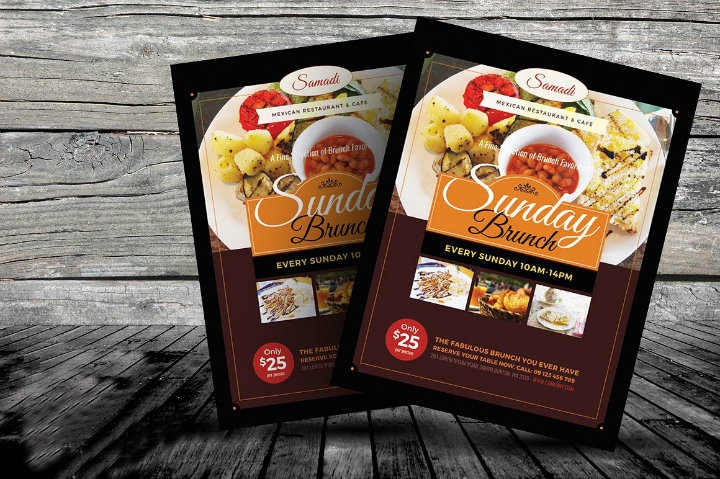 As mentioned in the previous advantage of using PSD restaurant templates, these templates will be pre-formatted. This means that they will already have separate layers and layouts. You do not need to worry about the proper positioning of the images and text boxes or if the typefaces you use will fit the overall look and feel of the template. All these things will be taken care of. You can print them right away. 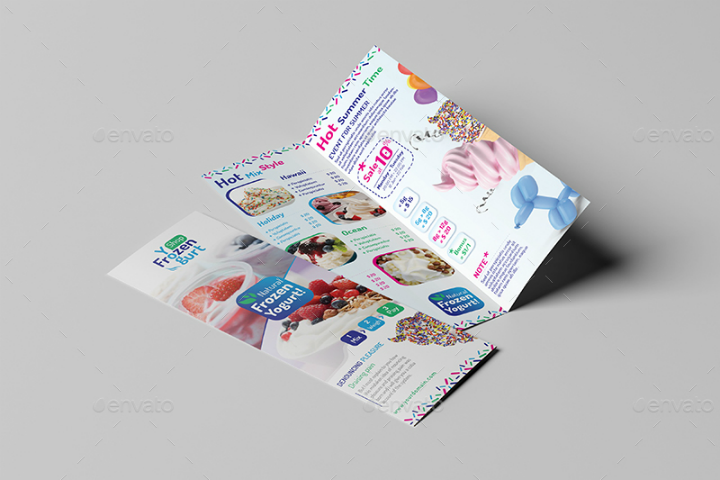 Most PSD restaurant templates are available in ready-to-print format. 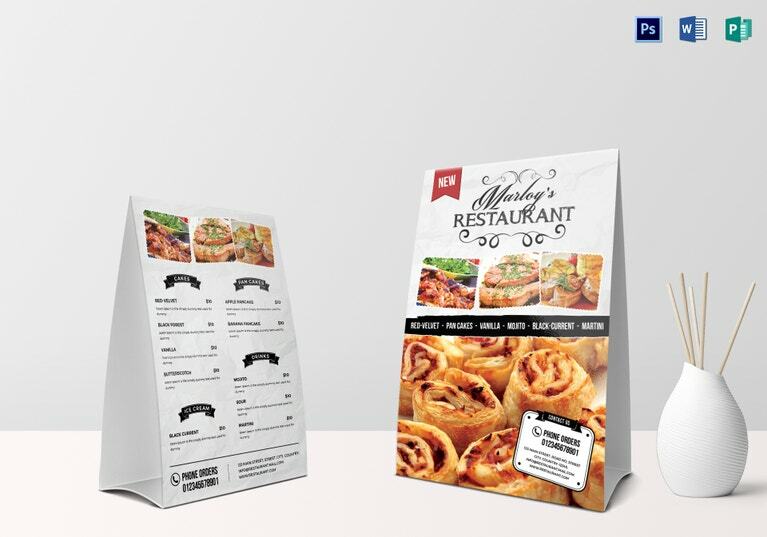 This means that with just a few quick customizations of the template (like adding the restaurant name and food menu details), the entire template can be printed right away. These template download files will also come with instructions on how to print the template correctly and some may even include links to where you can download the free fonts used in the template. 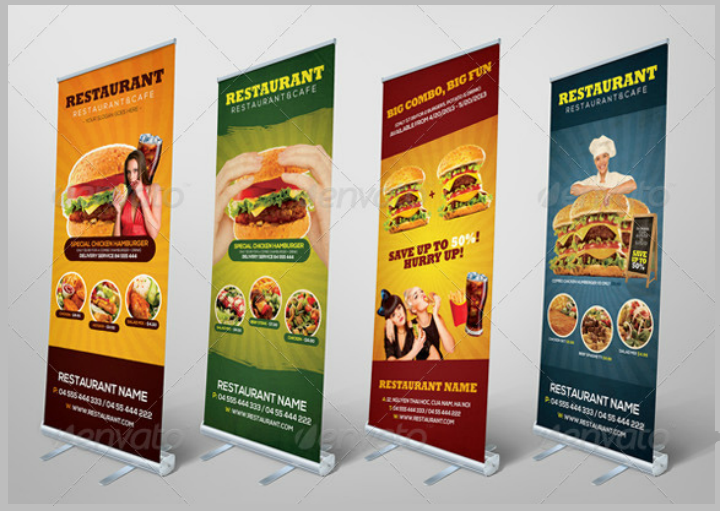 As we have mentioned earlier, there are different kinds of restaurant templates that can be used by any dining establishment. Among them are restaurant business cards, bi-fold brochures, postcards, coupons, flyers, feedback cards, pamphlets, leaflets, rack cards, roll-up banners, invitation cards, adverts, email templates, posters, labels, tickets, stickers, newsletter templates, tri-fold brochures, letterheads, badges, billboard templates, gift vouchers, signboards, menu templates, gift certificates, identity cards, catering brochures, take out brochures, take away flyers, calendar designs, name boards, parking tickets, table tents, greeting cards, guest comment cards, DL cards, punch cards, recipe cards, membership cards, thank you cards, discount cards, review cards, dining cards, promo cards, label tags, food labels, cleaning labels, and even menu labels. 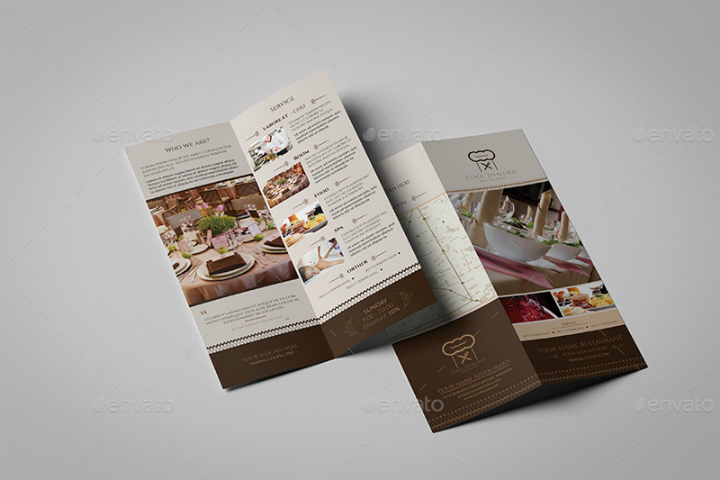 All these restaurant documents, stationeries, and marketing materials may be created using a corresponding restaurant template. What follows are 30 examples of restaurant templates in PSD file format. Each of these templates is obtained from reputable graphic design marketplaces and all can be easily downloaded and edited with Adobe Photoshop. 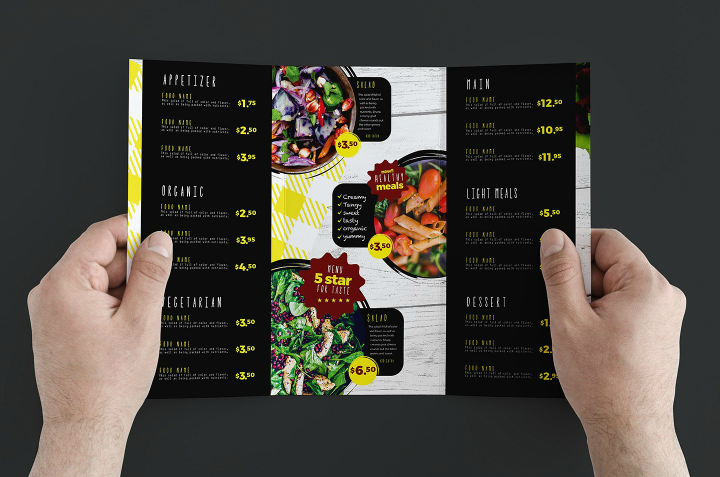 There is no definite statistic, but it is safe to say that the bulk of printable templates used by restaurateurs are to aid their marketing efforts. 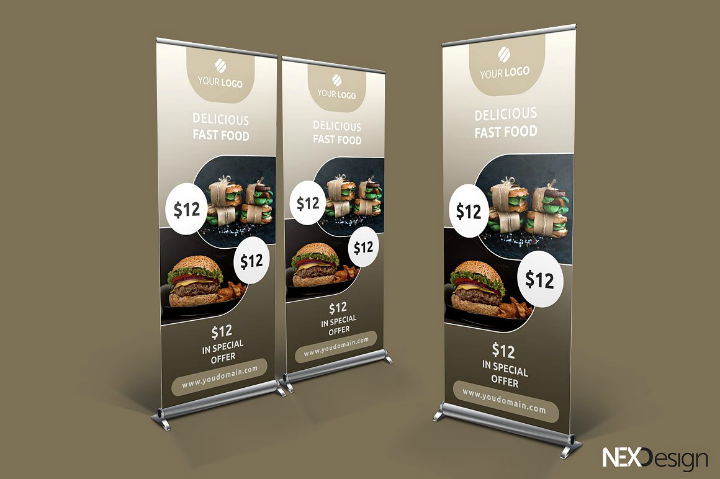 This can be seen when business owners use restaurant advertising templates to create flyers, posters, billboards, menu cards, and roll-up banners. All these methods of print advertising are still effective today. However, if you wish to make sure that all your bases are covered, you should explore and experiment with other ways to help increase customer engagement. Here are a few advertising and marketing strategies that any restaurateur or business owner can implement to help their businesses succeed. You may have already heard about this thing called the Internet. Today, the Internet is used by millions of people daily and it is now utilized as an important avenue to find and attract customers. As a restaurateur, you can easily do that by creating a website or by signing up for social media accounts on platforms like Facebook, Twitter, and Instagram. Once you have set up these profiles, make sure to always update them with recent information about your restaurant. You can also use your social media accounts to answer customer queries. When done right, all these things will help increase your brand identity. Remember, maintaining a good online presence is a form of social media marketing strategy. It is best if business owners can hire a social media specialist who will manage the business profiles and address customer concerns online. This way, restaurateurs will only have to concern themselves with core business processes like ingredient procurement and in-store service. Another marketing strategy that restaurateurs can use to help increase sales is by organizing promotions or special contests. This strategy works well with other brands and consumer goods and can also be applied to the restaurant industry. Examples of restaurant promotions are having meal price discounts, setting up an unlimited drinks offer within a specific time frame, or even offering free meals to loyal customers. Of course, any kind of promotion should have rules to so restaurant owners should make sure they come up with these rules before fully implementing the said contest or promotion. First impressions matter, especially in the restaurant industry. One way restaurants can make a good first impression is by making sure that their restaurant’s decorations, furnishings, and layout are appealing and presented well. To translate this into the words of the millennial generation, a dining place should be Instagram-worthy enough before they decide to eat at a dining establishment. Good restaurant interior design often involves having well-designed furniture, wall decor, menu designs, and even staff uniforms. When customers see a social media post showing the put-together restaurant design, they will become curious about your dining establishment and will be more inclined to try dining there in the near future. This is a good way to gain customer leads without being too overt about it. Any experienced and successful business person will tell you that one of the most important tenets any new entrepreneur should instill in their heads is the importance of good customer service. There is no use having a huge social media following and a good restaurant design if you and your staff do not treat your customers as real human beings. When customers feel that they are being appreciated and given importance during their stay at your restaurant, they are more likely to come back (and give more tips, too). Therefore, restaurateurs should make sure to train all employees on how to properly handle customers with empathy and genuine care. Restaurateurs should let their restaurant staff see the importance of having a ready smile and proactiveness. When employees understand this, they are more likely to act genuinely well to customers. After all, if you have a happy and satisfied customer, the restaurant’s ambiance and working environment will generally be better. Business owners will also have lesser chances of employees quitting since they are happy and satisfied with their jobs. A good way to retain old customers and gain new ones is by creating a customer loyalty program. You may have seen this done by airlines and shopping malls to help engage their customer base. Restaurateurs can do this by creating loyalty or membership cards that allow customers to gain convertible points each time they dine at your restaurant. Some restaurant chains have already implemented this strategy with great results. If you are running a small restaurant business, you can still apply this customer engagement strategy by creating small marked cards (like the ones used in coffee shops) where a box or portion is marked after every visit to the restaurant. And, once all the boxes are filled out with marks, the owner of the card will get a free meal or drink. This kind of rewards scheme for restaurant diners will especially appeal to those who are looking to save on their meal costs. Another often neglected aspect of digital marketing for restaurateurs is the use of an email list. Since most people who are online also have email addresses, you can directly target these customers with an email newsletter or message. You may ask customers’ email addresses when they sign up at your website. Of course, to make this strategy effective and avoid being marked as a spammer, also make sure to include useful and informational blog posts on your email blasts. Check this article for more information on the do’s and don’ts when designing an email newsletter. The six customer engagement strategies detailed above are just a few of the most actionable and easiest to learn methods to help increase your customers. If you wish to learn more marketing strategies, feel free to browse all over the site for detailed posts on the subject. Also, remember that for an advertising and marketing campaign to work, prepare to combine most of the different strategies mentioned here. When implemented together, they will have a synergistic effect that will help increase your brand identity and restaurant sales. 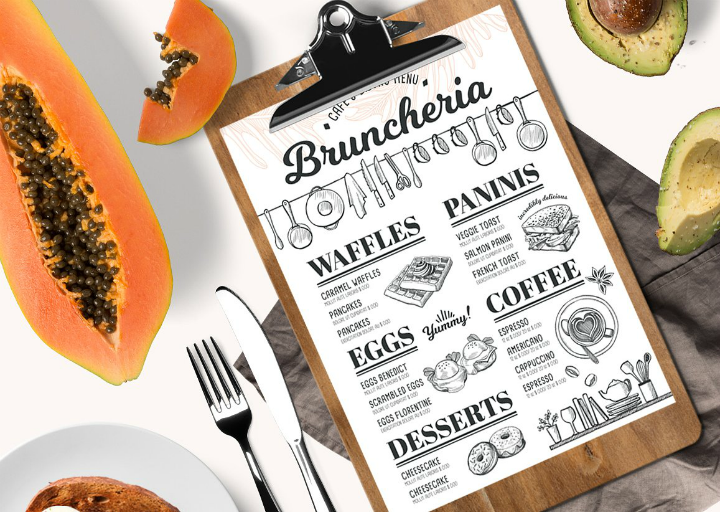 Judging from the list of printable restaurant templates included in this article, you will realize that most of them have beautiful and appealing designs that can fit any kind of dining establishment. With these many choices, it can be easy to get overwhelmed and experience decision paralysis. To avoid this, it is best to create and then rely on a set of criteria that you can use to guide you when making the final decision. 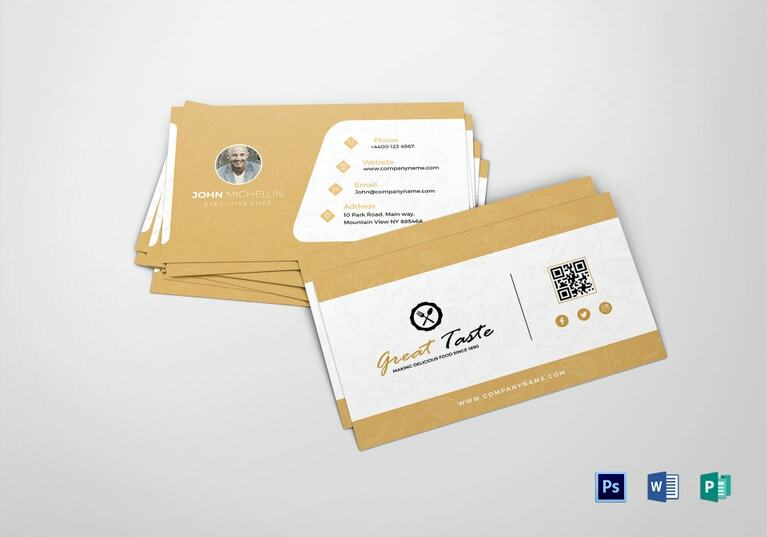 Remember, if you choose to follow the pre-made template route when creating restaurant stationery or advertising material, you should choose the PSD restaurant template that will best represent your restaurant business to your target audience. Listed below are a few guidelines that you can follow when making that final choice. Choose the PSD template design that you like best. When deciding on what restaurant template to choose, it is important that you should please yourself first. After all, you are the owner of the restaurant and you will have to live with the template design for a long time. This is also why it is the first factor to consider during the decision-making process. Find out what restaurant template design appeals and tugs to your heart the most. In some cases, you will get the final answer right away. Sometimes, there will still be a few choices that will remain. But, once you have answered this question, it will be easier to narrow down the choices and, ultimately, find the best PSD template for your restaurant design project. 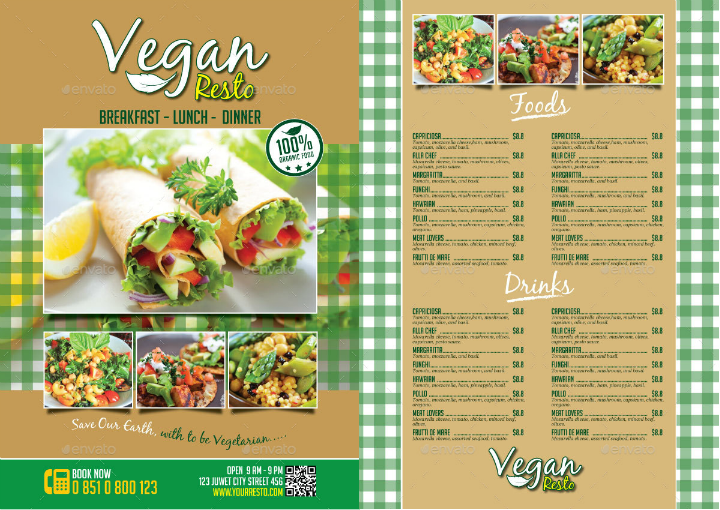 Choose a restaurant template that is available in PSD file format. 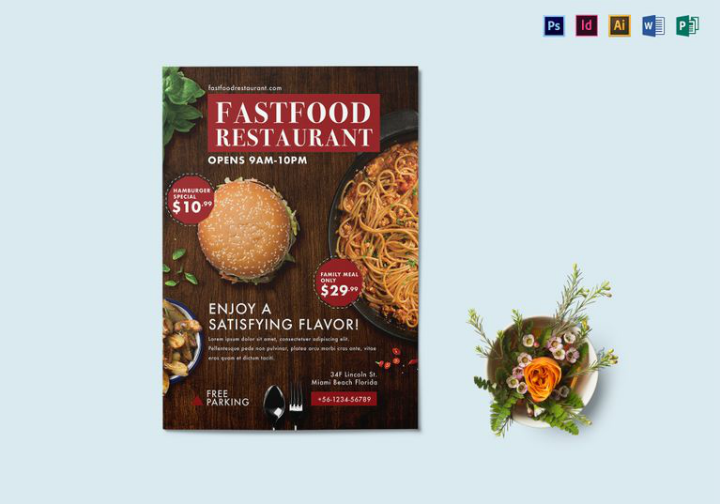 Since this article is about PSD restaurant templates, one of your main criteria should also be to make sure that your chosen restaurant template design was created using Adobe Photoshop. Templates in PSD file format are the most common types of templates so you should not be worried if you will find a compatible template file or not. Also, make sure that you already have Adobe Photoshop installed on your computer so that you can easily edit the template once you have purchased it. Determine the template output size you want. Another important criterion to remember when choosing among PSD restaurant templates is the template size. 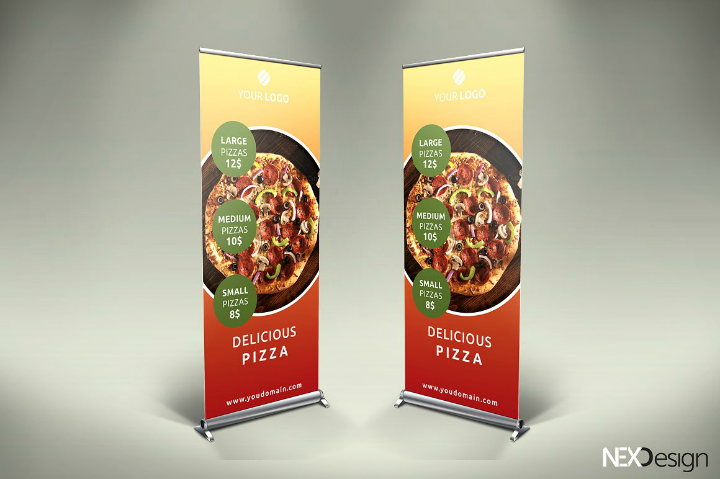 You need to know what size you want for your roll-up banner or menu cards beforehand so that you can determine where to place them and you can find the right size of papers, tarpaulin, or canvas. 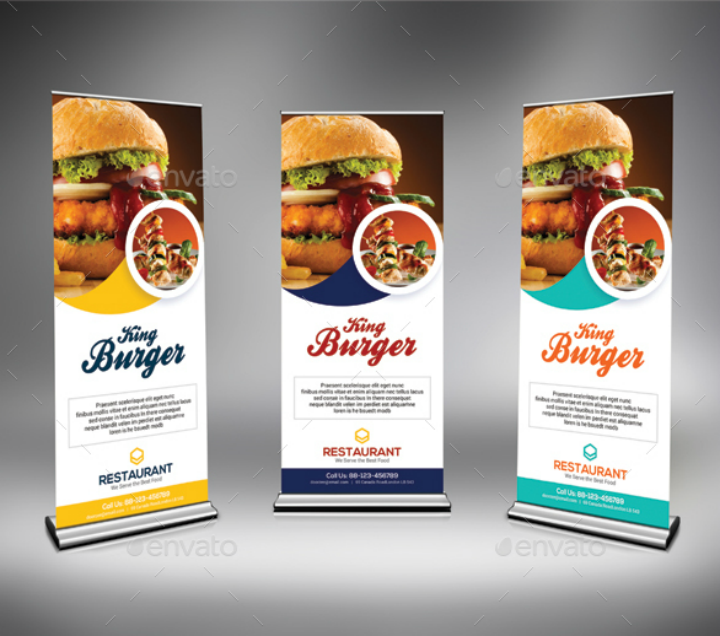 Also, certain types of restaurant advertising templates may have to follow a standard size so you will need to prepare the right kind of printing material for these kinds of restaurant design projects. Choose a printing method. On a related note, you should also determine the printing method you want to use for your restaurant templates. You can choose to print your restaurant templates at home, or you may also choose to use the services of a professional print shop. 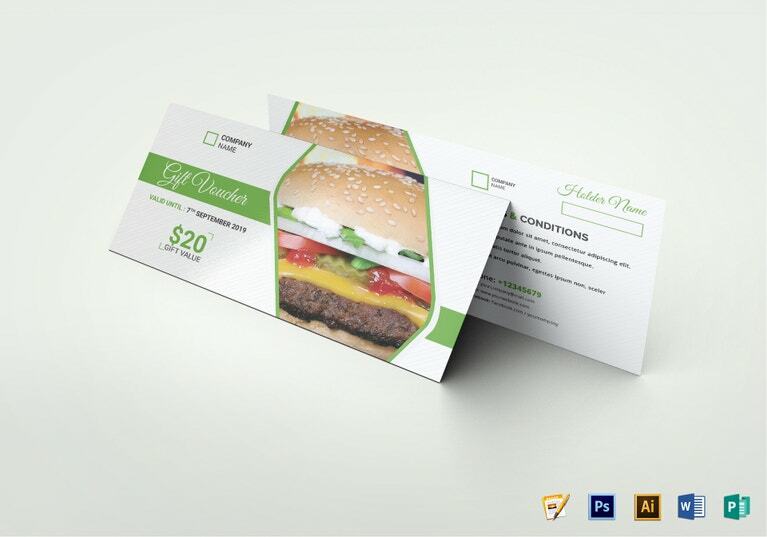 The former option is preferred if you are looking to customize and print simple restaurant templates like menu cards or flyer templates. 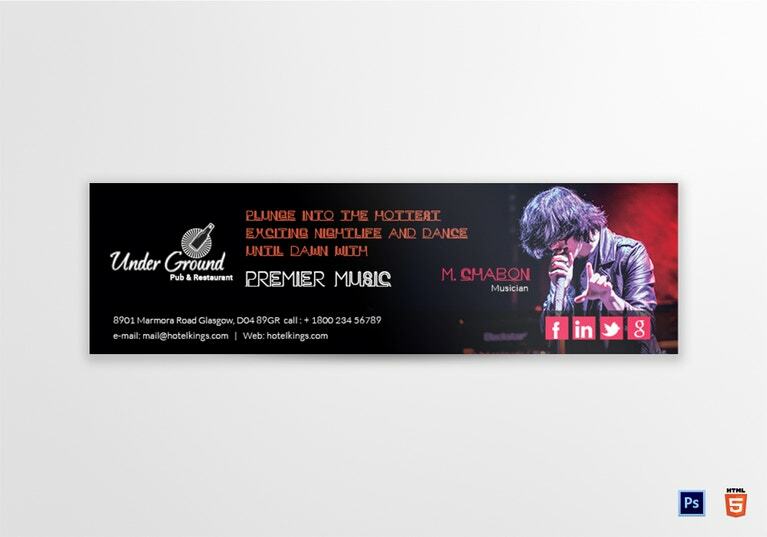 The latter option is recommended if you want to print big restaurant billboard templates and other restaurant roll-up banner templates. Also, if you choose to print the templates at home, make sure that you have ample amounts of printer ink and paper. Check your printer settings, too, if it allows double-sided printing. Select an editable restaurant template. 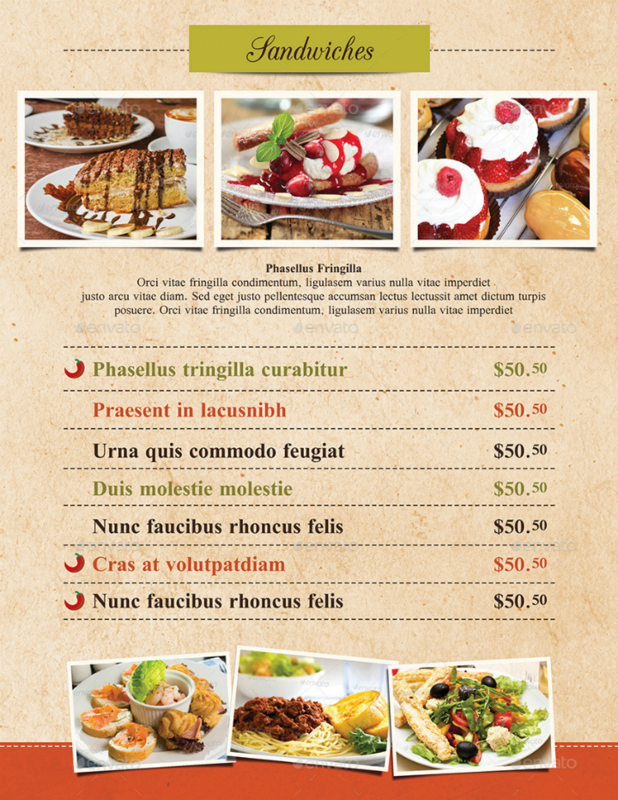 Even if you have chosen pre-made and formatted restaurant templates, sometimes you may still want to add little creative and unique touches to the template. Therefore, it is best to choose PSD templates that are fully editable. Look for templates that have flexible customization options like the ability to change background patterns or colors, font types, font sizes, font colors, and images. Also, you may choose pre-made restaurant templates that have organized PSD layers. This way, editing one element or one of the layers will not destroy the whole template design. Templates with organized layers are also easier to understand and will be easier to use by Photoshop beginners. Look for trusted PSD template sources. 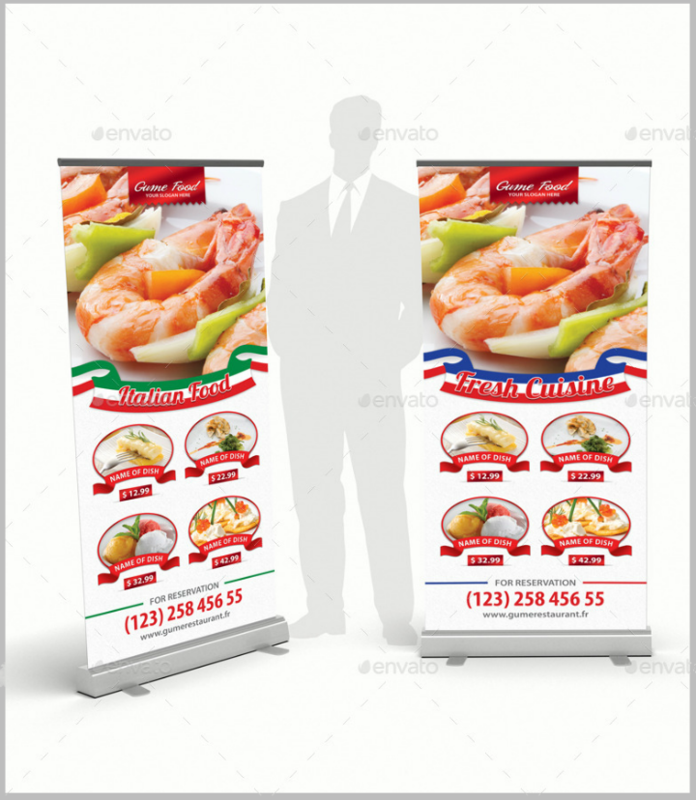 Lastly, make sure that you choose a restaurant PSD template that is sold or made from a reputable source. This is important because you do not want to infringe on other person’s or business entity’s rights by using restaurant template design elements that are trademarked by them. Protect your business from future copyright issues by researching about your template source before purchasing them. There are a lot of trusted online marketplaces where you can buy PSD design templates today. The different PSD restaurant templates included in this article are all from those reputable sources. 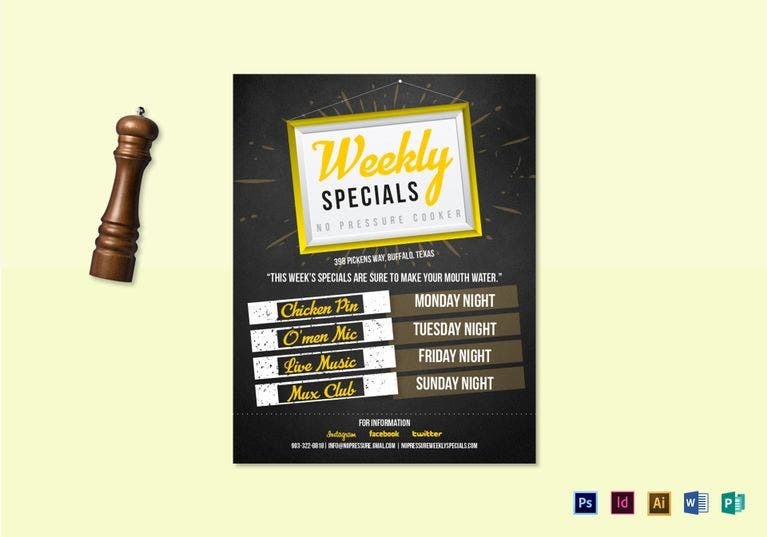 Have you chosen a PSD restaurant template? As parting words for those who are looking for PSD restaurant templates, it is better to just enjoy the entire template selection process. Do not stress yourself too much about it. 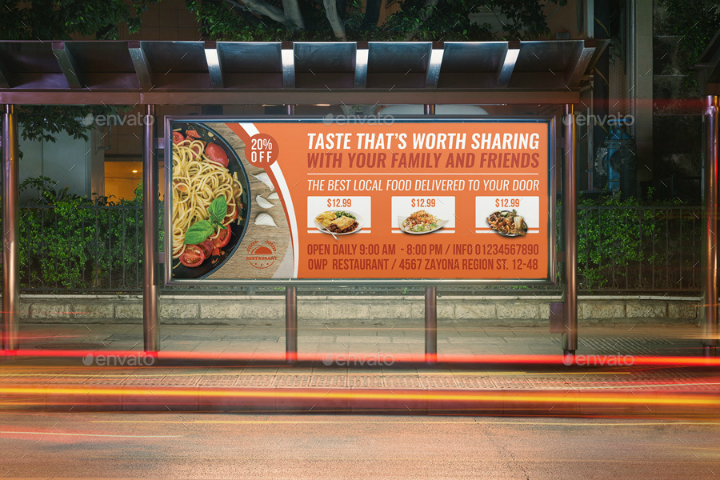 If you want professional quality with your restaurant templates and subsequent advertising campaign, you can always hire an advertising firm to do everything for you. This way, you will not experience the unnecessary stress of this graphic design project. So, if you are up for the challenge, then go for it!